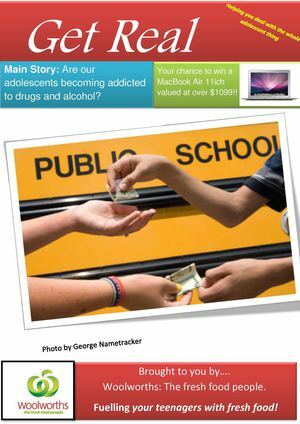 Get RealMain Story: Are our adolescents becoming addicted to drugs and alcohol? Brought to you by…. Woolworths: The fresh food people. Fuelling your teenagers with fresh food! Your chance to win a MacBook Air 11ich valued at over $1099! !